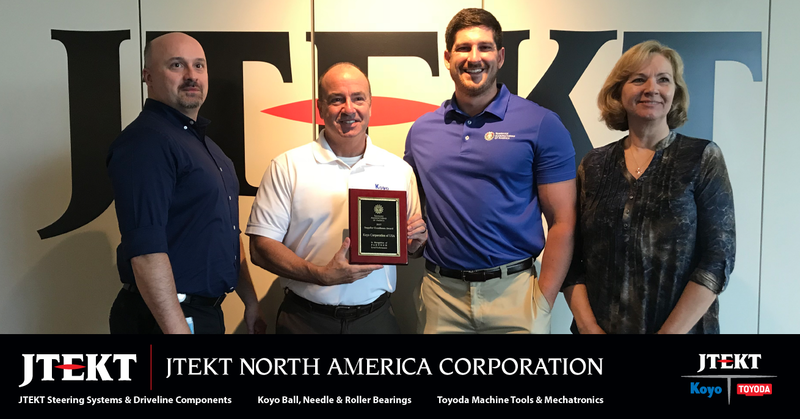 JTEKT North America's Koyo brand was awarded the 2017 Supplier Excellence Award from Transaxle Manufacturing of America. This is the third consecutive year JTEKT has been given the award which recognizes overall value, quality, service and delivery. Pauline DeRinaldi, TMA Supply Management Specialist.